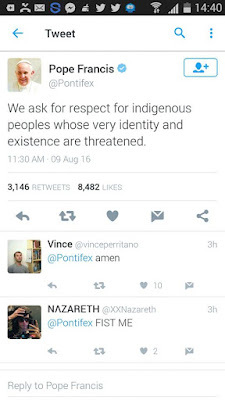 The social media campaign launched by the Indigenous People of Biafra(IPOB) has not ceased to yield abundance of support from high profile personalities across the world as the Vatican power house has once again voiced out their dismay over the inceasant killings and clamp down on Biafran activists in Nigeria and all Indigenous people exercising their right to self determination all over the world. 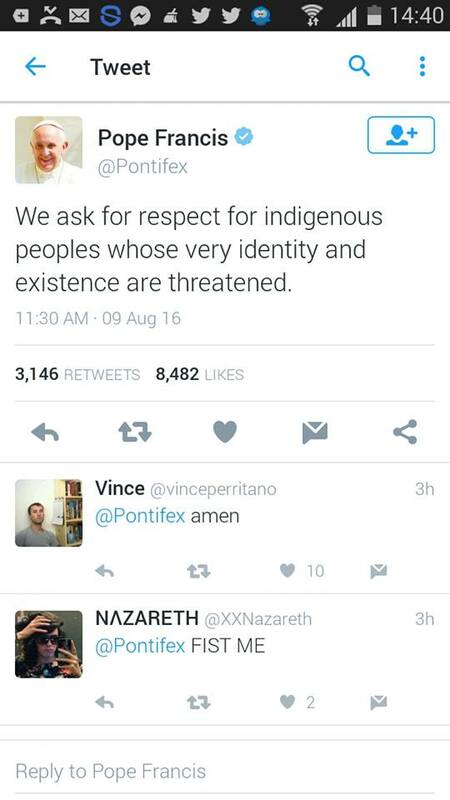 "We ask for respect for indigenous peoples whose very identity and existence are threatened." 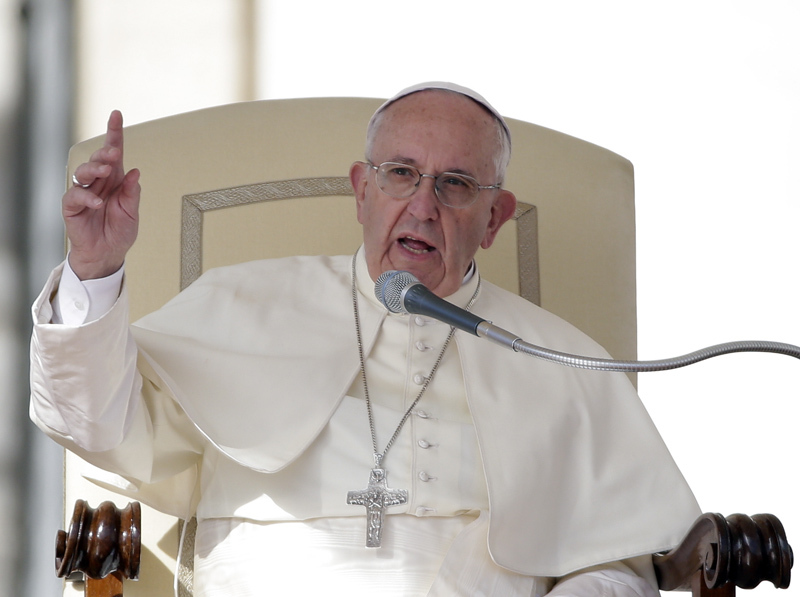 This latest reaction from Pope Francis came after millions of Biafrans flooded his twitter account with messages asking for him to speak out against the genocide, incarceration and bullying that is being perpetrated against Biafrans by the Muhammadu Buhari led Nigerian government. Four months ago during a mass session, Pope Franc recognised and prayed for Biafrans all over the world, having sighted numerous Biafran activists who flooded the Vatican city in protest against the continuous clamp down and killing of Biafrans in Nigeria. This is good comment from important personality,fellow Biafran God is doing wonders for the struggle we must continue the prayers and the ongoing agitation on the social media. We are wearying them down they will give up now that they are frustrated.We must sustain our present relationship with south south people.We must be vetting ready for the life in the bush if need be,those not ready must start earnest practice and training.Thank God for the Avengers and other militant groups things are getting better.